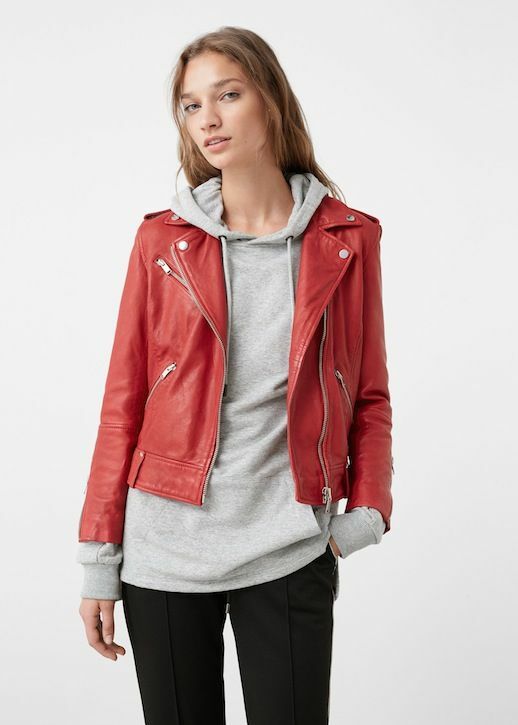 If you are anything like us, sometimes you just want to live in your grey hoodie, but always feel it's way too casual and even unacceptable to wear out unless it's a workout related trip. 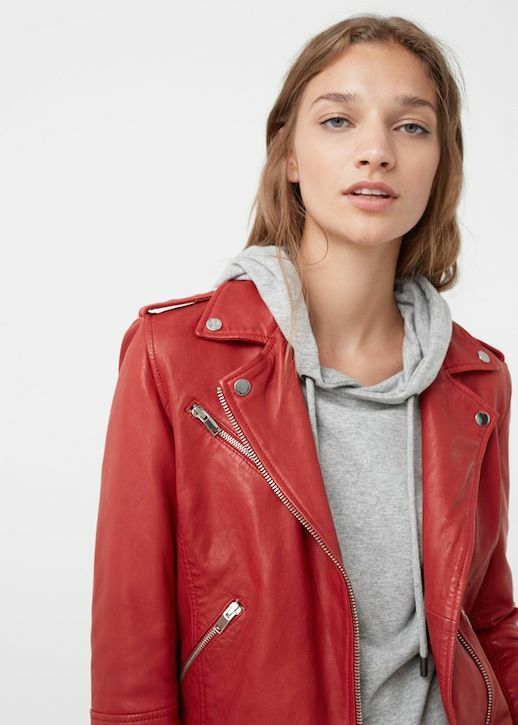 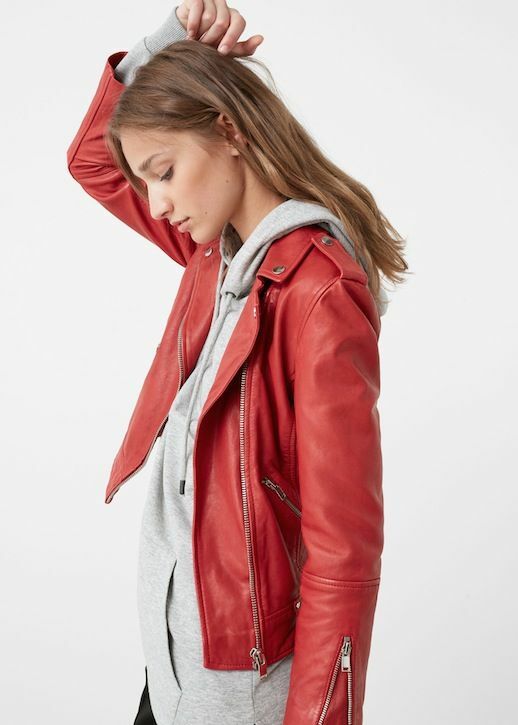 Now, the comfy sweatshirt is finally starting to get some street cred in the fashion world and with the help of a leather jacket, you can even turn it into a chic piece. 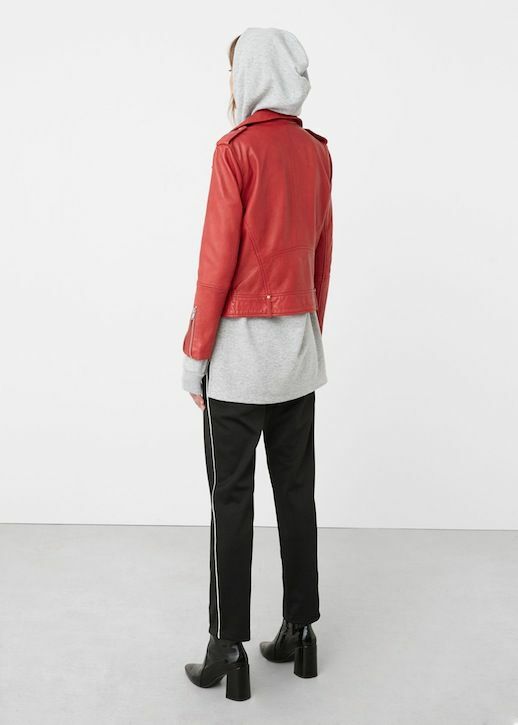 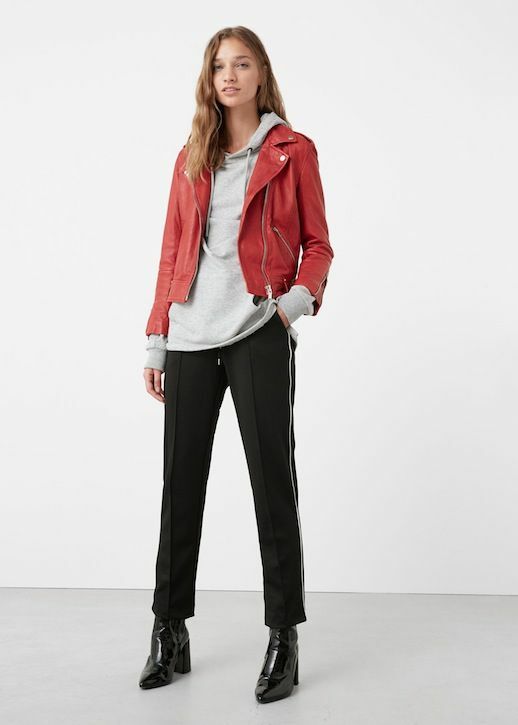 As we see above, pairing a simple hoodie with a red leather jacket, side-stripe pants and ankle boots can instantly create a cool and elevated vibe.